Nicola Ferro was Principal Trombone Orchestra Teatro Verdi Salerno IT Orchestra filarmonica salernitana for 20 years with the Conductor M°. Daniel Oren. 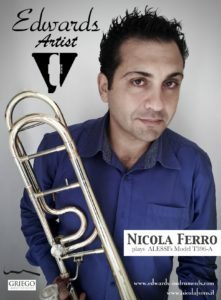 Now is teacher of trombone at the conservatory state of music Fausto Torrefranca of Vibo Valentia Italy.